EL CAJON – – A conga line of well-wishers and an engraved award are among the acknowledgements recently given to Maria Baeza, a Grossmont College employee for 22 years credited as the behind-the-scenes person for the campus’ biggest events, including graduation and student elections. The former Grossmont College student, now a secretary for the Student Affairs office, is the latest recipient of the Grossmont-Cuyamaca Community College District Chancellor/Classified Senate Award, a commendation presented quarterly to outstanding staff. Baeza’s exceptional organizational and interpersonal skills are among the attributes that make her an outstanding employee, said district Chancellor Cindy L. Miles, who presented the employee recognition award to Baeza at the July 19 Governing Board meeting. “It’s obvious that her contributions to the district are longstanding and very deeply felt by students and by her colleagues as well,” Miles said. This article in American Medical News highlights the Welcome Back program, which helps foreign-trained health professionals seeking to re-enter the field when they come to the United States. Grossmont College's Welcome Back center is one of nine in the United States. Here's the video about the San Diego Welcome Back center. EL CAJON – A $1 million grant stemming from federal stimulus money injected into the economy in 2009 has ended a productive run at Cuyamaca College, with hundreds of students completing a workforce training program, and many with promising new careers in the green industry. One such person is Paul Schankin, a San Carlos resident who found himself unemployed in August 2010 after 15 years working the technical side of the television and multimedia industry. He was recently hired by Synergy Companies, a Bay Area-based energy management company, to analyze the potential energy savings of existing homes. He decided to pursue an interest in working at a green job and took several classes over a four-month period offered through Cuyamaca College’s Clean Energy Workforce Training Program to obtain the national Building Performance Institute, or BPI, credentials needed to become an energy analyst. The grant program was administered by the Grossmont-Cuyamaca Community College District’s Continuing Education and Workforce Training program based at Cuyamaca College in Rancho San Diego. The Grossmont College Athletics Dept. 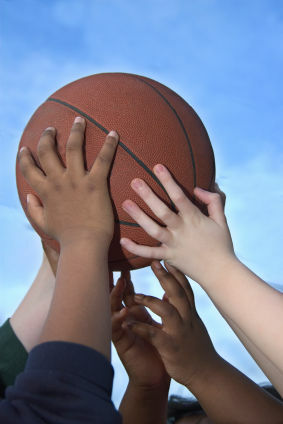 and Grossmont College men’s basketball coach Doug Weber are inviting all boys and girls entering the 3rd through 9th grades to Grossmont College’s annual youth summer basketball camp, from 8 a.m. to noon, Monday through Thursday, Aug. 8 to 11. The camp will feature instruction on fundamental skills, group and individual contests and three-on-three tournaments, along with life lessons about sportsmanship, communication and goal setting. Cost is $75 per camper, which includes t-shirt, contest prizes and giveaways. For more information, visit www.grossmont.edu/athletics, or phone (619) 644-7878. East County’s two community colleges have raised almost $850,000 for the Bernard Osher Foundation scholarship fund that will forever provide awards of at least $1,000 to 82 students each year. 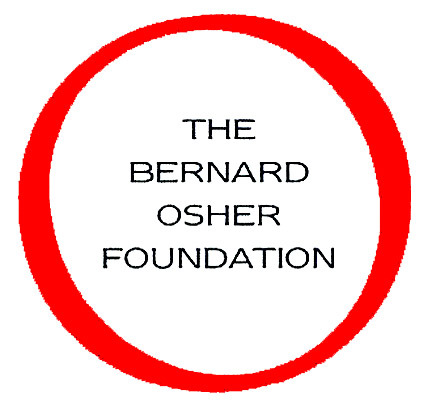 As a result of the three-year intensive fundraising campaign, 56 students at Grossmont College and 26 students at Cuyamaca College will be selected annually to receive an Osher scholarship. With the match from the Bernard Osher Foundation, the total value of the two college’s scholarship fund is more than $1.6 million. In May 2008, California’s 112 community colleges were challenged to raise money for the scholarships, with a promise of a 50 percent match from the Osher Foundation for all of the donated funds. The San Francisco-based foundation also made an initial $25 million contribution to the fund. Each California community college was given a fundraising goal based on its enrollment, although that cap was lifted in the last few months of the campaign. The California Community Colleges Scholarship Endowment reached $66.5 million, enough to fund at least 3,325 scholarships for community college students in the state each year in perpetuity. At the June 30 fundraising deadline, Grossmont and Cuyamaca colleges were two of the 31 colleges in the state that met or exceeded their monetary goals. Grossmont College raised more than $580,000, while Cuyamaca raised almost $270,000. The Grossmont College Adult Reentry Program will host “Recreate Yourself,” a free orientation meeting for adults interested in returning to school to upgrade workplace skills, re-career, and/or earn an Associate Degree or Certificate. The Adult Reentry Orientation is scheduled for Tuesday, August 2, 2011, from 9:30 a.m. to 12:30 p.m., in Building #34, Room #107 on the college campus. For more information, phone Nancy Davis at (619) 644-7615 or Susan Esparza at (619) 644-7697, or visit www.grossmont.edu/adultreentry. 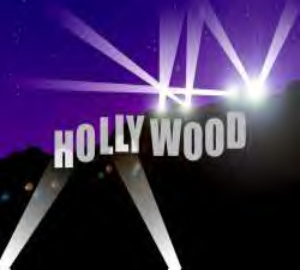 Usually the drama in California comes from Hollywood movies, but one high-profile production playing out in Sacramento came to an end last week with the passage of the 2011-12 state budget. This spectacle featured elevated emotions, backroom deals that fell apart, and even a bit of fisticuffs on the floor of the Legislature. In approving the budget, Gov. Jerry Brown gave up on his proposal for tax extensions when he was unable to get the Republican votes needed to put the measure on the ballot. Instead, legislators are hoping that the economy is recovering and additional tax revenues will pay the bills. While it’s good to get the state budget passed, the triggers put in place if the revenue projections aren’t met means that the financial future for community colleges is still up in the air. According to the original January budget estimates for 2011-12, California community colleges would be cut by $400 million, with that amount partially offset by $110 million in additional money from increasing student fees from $26 to $36 per unit. Community colleges will also have to deal with state payment deferrals of $129 million. But this budget proposal, as you may recall, depended on $12 billion in state revenues from tax extensions.